I recently watched a video of Veritasium where balls are juggled in water jet. I was personally so impressed that I wanted to share with u all. Its like noting you have seen before, its an invention that seems out right magical. First of all ,we may get it confused with Bernoulli effect. But the mechanism is not the Bernoulli effect… Its something different called "Hydrodynamic Levitation" which provide these balls ablility to levitate on an upward stream of water. Hydrodynamic Levitation is a physical property which provides the ability to levitate a lightweight ball or disc atop a jet of water. The trick involves getting the water to flow along one side, runs up and over the object, creating a state of equilibrium which allows it to spin. The standard Bernoulli effect relies on the object being completely immersed in the upward-flowing fluid. Here, the water seems to form a single stream around the object and it’s deflected away and down from the stream. By Newton’s third law, the force on the water by the ball is equal and opposite to the force of the water back on the ball, pushing it up into the stream. There is a stable equilibrium position because if the ball moves into the stream, it “cuts off” the water going over the ball so it drifts out. If it drifts out too far, then lots of water passes over the ball, pushing it back into the stream. Have anyone heard of aquaponics??? 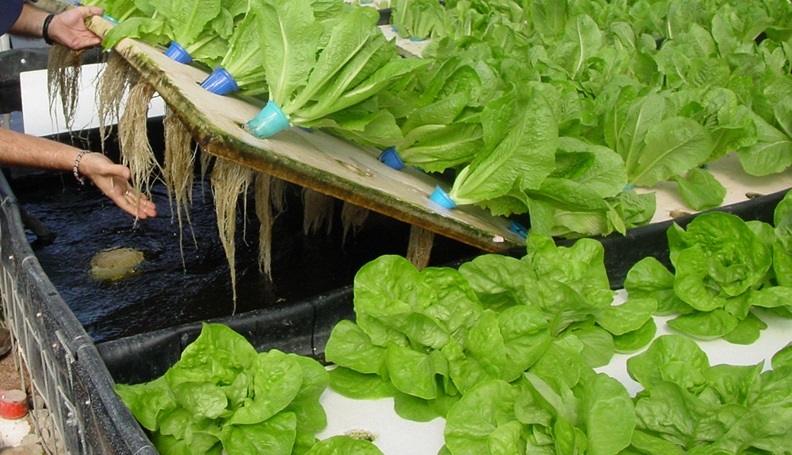 Aquaponics is gaining attention around the country as the future of farming. What does aquaponics stands for?? Combine fish raising (aqua-culture) and water gardening (hydro-ponics), you will get "AquaPonics". It is a self sustaining cycle where Fish supply nutrients to the plants and the plants clean the fish water. Lets look how much water it saves. Comparing to soil agriculture, plants can only take up water through the tips of their roots, so you need to soak the top layer of soil in order for the water to get down to where the plant can actually use it. So, that top layer of topsoil, all that water just evaporates. They don't have to use as much water, they don't need as much land, and they can still produce as much food. The water requirement is almost 90% less than that required in conventional farming. it addresses a growing interest in locally grown food. Despite its appeal, aquaponics is almost a fantasy. You need to have some homework before you start. It's capital-intensive and risky. Soil is cheap and sun is free, but production of protein and greens is not at the same pace or scale. It's highly technical. The pH levels of fish waste and plant nutrients must match. The levels of nitrogen and ammonium in the system must be diligently balanced. Those challenges if fulfilled, you’ve got the match made in Heaven. Aquaponics save us from nature's biggest challenge : Seasonality. It is independent on weather or growing seasons but depends only on on controlling variables such as temperature and water quality, it can avoid agricultural hazards such as tornadoes, storms, flooding and droughts. It looks the same in winter as it does in summer. Also crops grow more quickly, requiring only 3 to 5 percent of the water needed in a traditional farming system. Aquaponics could provide consistent products regularly and year-round. While the setup cost of aquaponic farm might be higher than conventional farms, but the operational cost is much less. The yield from aquaponics is two times higher than that of conventional farming, also one restriction being that fruits and vegetables which grow underground cannot be grown using aquaponics. Poor soil quality( due to overdose of chemical fertilisers) and climatic changes such as droughts, hurricanes wont get affected as aquaponics is a soilless growing system. When designed effectively, the success would encourage more people to take up the organic process so that safe fish and vegetables would be available to people. I think this is the future of farming as it can be done anywhere. You can do them indoors, outdoors, in warehouses, on rooftops, empty alleyways, empty parking lots. So all the space that’s being underutilized in urban areas could be transformed easily into an aquaponics system. And then you’re providing really clean, healthy produce for the local community and mostly for yourself.. When the US’ National Aeronautics and Space Administration (Nasa) launches the world's smallest and lightest satellite KalamSat on June 21, 2017, it will be the first time ever that it would be piloting an experiment by an Indian student. Kalamsat is the only Indian payload in the mission. The weight of the probe is only 64 grams and it is fitted in a 3.8 centimeters cube. It is the first satellite to be manufactured via 3D printing. 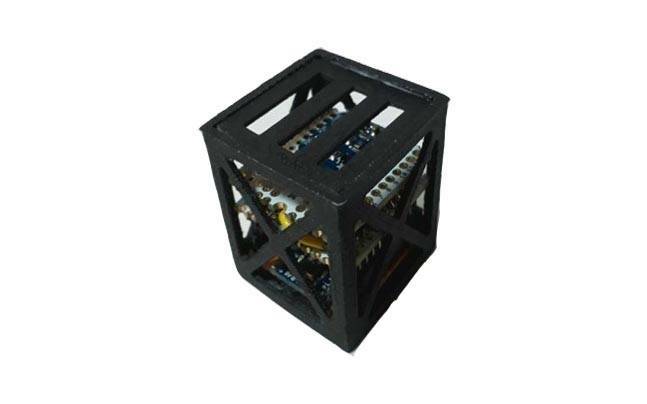 The device is made from 3D printed carbon fibre, and was the winning entry in Cubes in Space, a design contest for young inventors organised by education company idoodle, with backing from Nasa and the Colorado Space Grant Consortium. Rifath has named his creation KalamSat, after former Indian president and nuclear scientist Abdul Kalam. It will be launched from Nasa's Wallops Island facility in the US next month, entering into a four-hour sub-orbital flight i.e. it will not be placed into orbit. For 12 minutes of the flight it will be operating in a micro-gravity environment. The mission will last for 240 minutes. It took more than two-years for Rifath and his team to design the experimental satellite using the 3-D printing technology at a cost of just ₹1 lakh. Sharook says the purpose of his experiment is to see how 3D printed carbon fiber-reinforced polymer (CFRP) performs in the microgravity of outer space. It owes its lightness to its reinforced carbon fibre polymer frame, a material that has a super-high strength-to-weight ratio, and is used in everything from aerospace engineering to fishing line. Kalamsat contains a new kind of on-board computer and eight indigenous built-in sensors such as temperature and humidity sensor, a barometric pressure sensor and a Nano Geiger Muller counter to capture and record temperature, radiation level, rotation buckling, magnetosphere of earth and others before landing in the ocean. It has strain gauges which will be used to study the structural performance of the 3D printed parts by measuring the deformations. Information received through the satellite will help us in building better spacecraft. It can be used for back-up communications in disasters.